Not to simplify some of the world’s great and highly-nuanced cuisines, but much of their flavors can be accomplished at home by just stocking your pantry with a few of the essential ingredients. The first time I made a tagine, I’d never mixed spices together like cumin, turmeric, cinnamon, and saffron in one dish. But what came out of my oven about an hour later reminded me exactly of the ubiquitous tagines served in Morocco that I’d had. After all, a tagine is basically just a simple braise; it’s the handful of fragrant spices that give it the flavor of the Kasbah. There’s a lot to be said for authenticity. And for those who want to be absolutely authentic, next time you’re going to make a pie, begin by harvesting and grinding the wheat yourself. Me? I’m happy to open a bag of flour*. I don’t know much about Indian food, and was never much of a fan. For the most part, so much of it was too soupy and saucy for me. I just don’t like food swimming in lots of liquid. I’m a dry and crisp-fried kinda guy. And I also can’t shake the stale, musty smell of that rusty tin of curry powder that my grandmother kept in her pantry for eternity, refusing to chuck it, ostensibly left over from some recipe in some women’s magazine during the 60’s that probably called for 1/16th of a teaspoon of the stuff. But I’m all grown up now and these days, in Paris, behind the gare du Nord, there are a bunch of Indian restaurants and markets that I’ve started to explore. (A favorite is the enormous VT Cash & Carry, 11-15 rue de Cail.) And I’ve been sampling some of the various Indian and Sri Lankan places scattered about, too. Not all of them are sumptuous, but the markets are fun to poke around in and some of the vegetables are wildly exotic and fun to figure out what they’re for. The only downside is that I always come home loaded up with much more than I planned for because so many of the spices, fruits, and grains are just so beautiful and curious to me that I can’t resist. I thought for my first Indian cooking venture at home, I’d tackle Tandoori Chicken. As mentioned, many of the cuisines that are foreign to us become far more understandable when you go shop for the ingredients. 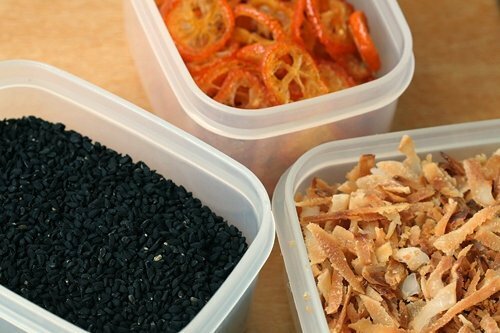 In the case of Indian food, much of it is about the spices. I had some trepidation, but Medini on Twitter assured me to just “…follow the smell and the sizzle…” and to use my instincts. That, coupled with my first transgression (namely not having a tandoori oven), I felt freed from worrying about how authentic my Tandoori Chicken was going to taste. Plus I loved walking around my apartment saying words like aloo, nimki, and barfi, a word which quickly brings up the humor of the pre-adolescent male still lurking inside me. The smell of fresh spices wafting from the grill is quite lovely and if you’re still using those tins of dead cinnamon powder or insipid paprika that you took from your grandmother’s pantry after she passed away, which still have the original 29 cent purple-inked price tag still stamped on them, you have my permission to buy some new ones. My Tandoori Chicken came out great, simply griddled on the stove top with a grill pan. If you’re lucky enough to have a barbecue, you can take that route. And invite me. This is one of those great do-ahead recipes. Marinate the chicken the day before you cook it, and once cooked, the pieces are good hot or cold. One of the things that endeared me to Indian cuisine was that it’s about contrasts: something hot goes with something cooling, if it’s spicy, it’s mixed with something fruity. I love it!So I make a cucumber raita with salted and drained cucumber cubes, Greek-style yogurt, lots (and I mean, lots…) of chopped garlic, fresh lime juice, and a big handful of chopped mint. After making it, I think raita is now my favorite thing in the world. 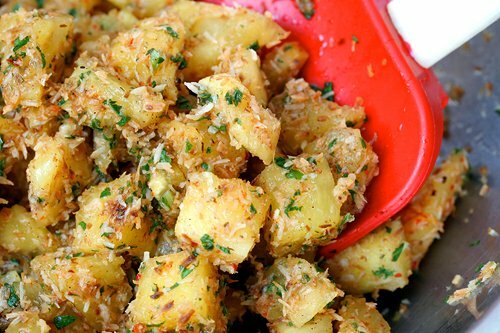 I also mixed up diced pineapple with hot chile flakes, mint, lime juice, and toasted coconut for a quick, chutney-like accompaniment.Some folks add garam masala, which I’ve added to my shopping list for next time. Because I had a bit of red food coloring leftover from my ketchup macarons, I cautiously added 1/4 teaspoon to the marinade, since at the tandoori chicken places I go to, the chicken is always a vibrant red. I shortly thereafter learned that tandoori coloring is sold in Indian markets, and it’s something I might try next time, just for fun. 1. Soak the saffron in the boiling water for five minutes. Meanwhile, with a sharp knife, score the chicken flesh deeply, each piece slashed three times. Put in a large zip-top freezer bag. 2. Add all the remaining ingredients to the bag, including the saffron (and the water) and express out most of the air, then seal the top. Massage the bag to mix the ingredients and coat the chicken pieces. 3. Refrigerate the chicken overnight. 4. Remove the chicken pieces from the marinade and fry the pieces with the thick marinade clinging to them, in a hot oiled grill pan until dark on one side. Flip and fry until darkened on the other side. 5. Slip a knife in the meat and make sure the chicken is cooked through. If not, add a bit of water to the pan to loosen any caramelized bits, and place in a 350F (180C) oven for about 10 minutes, or until cooked through. Note: I was fortunate that the folks at Goumanyat gave me a nice packet of saffron powder to try out last time I was in there and when I opened the packet, the smell of saffron really knocked me for a loop. Since saffron can be pricey or may not be easily available where you live, feel free to leave it out. *Fyi: I do draw the line at sandwiches made on croissants, bagels made with dried fruit, and canned corn on Caesar Salads. You think your neighbors would have a problem with you grilling on the rooftop with a Weber Smokey Joe? That’s some great looking tandoori chicken. We make it on a grill pan at home too and it works really well. Another great accompaniment for tandoori chicken is garlic naan. mmm. I too like foods that are dry and I’ve found that there’s always a dry version for most Indian curries like chicken tikkas (the dry version)/ chicken tikka masala (the curry version). I love VT Cash and Carry and went there with a friend so we could split some of the spices. (I mean how much black cumin and asefetida can one person use?) I’m delighted to hear that this comes out well with a grill pan because my backyard barbecue is one of the things I’m really missing in Paris. The raita sounds lovely. Kind of like a tzatziki. Most raitas I’ve tried have no garlic, but it sounds like a very welcome addition. I love the image you evoke in describing those “tins of insipid paprika . . .which still have the original 29 cent purple-inked price tag still stamped on them . . ” Describes my (very much LIVING) mother’s pantry to a T. I’m sure she bought most of them in the 1970s and 80s when my grandmother was working at a Safeway . . .
as for your tandoori chicken, sounds delicious. this looks like a great and easy recipe for tandoori chicken waiting to be tried out. 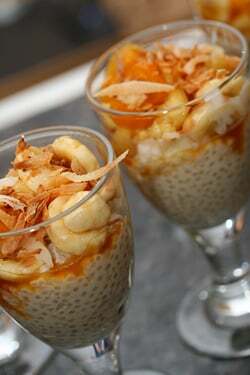 i love the pic of the coconut tapioca pudding. I love Tandoori chicken! I can’t wait to try this.. I’ve only had it at a restaurant. I think I actually have most of the ingredients at home…except for the large plastic bags-the least exotic ingredient. Would you say the grill pan is a reasonable substitute for the backyard grill? We really miss ours, too. I make my raita out of apples, since I can’t stand cucumbers. Don’t forget to let your All Clad pan cool before you lick it clean. yum! i’ve always been a little terrified to try indian food myself but i just might have to give this one a go. besides, tandoori is a favorite around here. David! You don’t like Indian food?! Insanity (although I will admit there is a lot of musty seeming Indian food out there that I think has unfairly turned a lot of people off). I simply must insist that you give Suvir Saran’s book American Masala a try immediately. I promise, plenty of dishes that involve little to no sauce (although I just made the very saucey Goan Shrimp Curry last night to hugely enthusiastic reviews). Also, pretty much anything by Madhur Jaffrey is fantastic. I use her book Madhur Jaffrey’s Indian Cooking quite a bit, but I think it is out of print and a little hard to find. In place of that, From Curries to Kebabs is great (try the cilantro chicken). I made a tandoori chicken that we enjoyed recently but it didn’t look as good as this one! I will definitely give this recipe a spin. 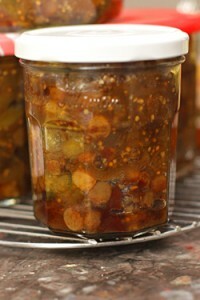 Love the idea of your pineapple chutney side. Now my husband is going to see this and start bugging me for Tandoori chicken every day until I make some for him. I’m sure I’ll cave in by early next week. And I’m sure it will be delicious! Thanks for another fantastic looking recipe. Hi David. As suggested above, I definitely suggest you try South Indian food. 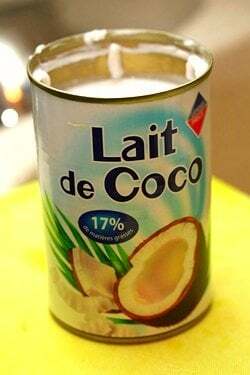 It does not use cream (instead uses some form of coconut-ie.grated, chopped, or milk) and has much more variety. This looks fantastic – i might play with this for my next book club dinner which i am hosting. Though I lack a grill pan and might have to make do with my regular Lodge. David, dear David – forget the Tandoori Chicken (not really, it looks delicious). But what I really want – nay, NEED – is whatever recipe you are using to make that coconut and banana tapioca. How can you tease me with just a photo like that? When I lived in S.F., there was a little hole-in-the-wall place near my house that served the best Vietnamese sandwiches, crab and tomato soup, and… coconut/banana tapioca. I was completely addicted to it, and when I became pregnant with my first child I stopped by there literally every day (and God help you if you were to get in my way on a day they didn’t have it). I have a recipe of my own, but yours looks awfully yummy. Please, pretty please, share? Merci, mon chou. I know those ancient tins of which you speak. I’m currently caring for my 89yr old Mother in Law and she has quite a few. They look so nostalgiac and cute in her old time spice rack that I can’t part with them ! Whatever..I just don’t use the contents! I loved the spices of tandoori chicken. Most that I’ve had at restaurants has been so dry and overcooked that I never sought recipes for it. My son found a recipe in a Weber Cookbook that he purchased and made it and it was wonderful. Very similar to the one you offer here with just the outside crispy, but moist and tender inside. The raita is a perfect foil for the spiciness of it. After two lengthy trips to India I am still a beginner learning about their varied cuisine. It is a very large diverse country and I look forward to returning. Eating in India is an experience that cannot be replicated nor should it be missed. Of course, it’s not all sunshine and roses! You have to be careful and be prepared for possible Delhi Belly. I highly recommend going 5 Star in India, discount travel there is not the charming experience it can be in other countries. Luckily, here in Chicago there is a lot of good Indian food and a large Indian Town based on Devon Ave. that keeps my education growing. But it is still hit or miss, you never know. Every curry is unique to it’s maker. That’s part of the adventure. Your chicken looks great, I am going to try it this weekend when I open up my grill outside. I think I’ll try some veggie biryani on the side and some jheenga til tinka as an appetizer. Maybe even some of those kebabs of peppers, onions, tomatoes and paneer rolled in spices then grilled as a vegetarian option for my annoying vegetarian friends:-) It’s going to smell amazing here come Saturday. My snotty neighbors are going to think I moved an Indian family into my house! I’ll tell them it’s a “Slumdog” themed party and then they’ll love it. Gentrification blows. Thanks for another yummy recipe David. And I agree, the Croissandwich is evil. What a purely American take on a flaky French piece of delightful goodness. Don’t get me going on blueberry bagels, I may get queasy. I’ll leave that to Jerry Seinfeld… “When making a pizza bagel stay away from cinnamon raisin.” Which leads me to yet another WTF? Pizza bagels? Ewwww. That looks fantastic. I myself often question how valuable the quest for ultimate authenticity is. As a home cook, am I trying to create the most authentic version of a dish or just something that tastes wonderful, that meets my personal criteria of preparation (availability of ingredients, ownership of tools, ease of preparation, timing), that makes my tastebuds sing? An example is my Carolina crockpot pulled pork. No, it’s not cooked in a smoker for hours, but it’s still pretty darn good. I try to get around the authenticity police by adding style. “Tandoori Style” chicken. Lack of a tandoori oven should not restrict your culinary frontiers. Susan, just dump the dried-up contents of the jars and replace it with fresh spices (www.penzeys.com) — then you get to keep the cute jars and rack, AND have good spices! Sarah, pizza bagel = plain bagel with tomato sauce and mozzarella cheese, toasted til melted and crispy. Pizza for one = yum. Growing up in England where Indian food is prevalent meant that I hated it when I was a kid. The lingering smell of stale curry is one of the most persistent and unpleasant fragrances in the known universe. Arg. However, now older and more adventurous, I have developed more of a taste for Indian food. This recipe looks great- I love the singed, savoury crust that develops on food cooked on the griddle. Firstly, let me just say I am a big fan. I like to add chopped cilantro leaves in the marinade, it takes it to a whole different level. Also, if you like dry and crispy food, you gotta try the masala dosa which is a crispy indian crepe with a spicy mashed potato filling which is served with a lentil soup/sambar. You gotta try it, its amazing. We need a bbq, so we can do this and a million other meats. Well, it would be a long trek just for some BBQ tandoori, but you know I would invite you – anytime. But, of course. And, I haven’t read the rest of the comments yet, but I am pretty sure I am not alone. You are a well loved fella, Daveed. Thanks for the beautiful recipe for those of us who also have to make do without a tandoori oven, and other fancy-schmancy stuff like that! Vidya: Yes, I love cilantro and will try it next time. One of my all-time favorite things are papadam, those deep-fried thin disks made of chick pea flour. I’m not a fan of deep frying at home, but I do love those! FYI…, Papadams can be made without frying. There is a Indian cooking tool, I can’t remember the name, that looks like a pan but the bottom of the pan is made of a metalic mesh. Simply place the papadam on the pan over very high heat, it takes just a few seconds, you have to watch it and it needs to be flipped over. It will blister a little bit, but that just means you’re doing it correctly. Have you been peeking into my spice cabinet? Guilty! I have some A&P spice tins from my mother’s kitchen, but I have bought fresh replacements. I just like having a few remembrances of dear Mom. I love Indian food but can’t get my family into it. Your chicken is perfect! Who wouldn’t dig into that dish? I’ve attempted tandoori chicken several times with little success- these look deliciously achievable! Indian is my favorite! The first time I tried it, I felt like I had come home. Strange, since I was raised on dry pork chops and curdled mac and cheese (sorry, mom, but it’s true). On second thought, maybe it wasn’t so strange after all! That looks great. I used to have an Indian grocery nearby. ( I live in Sacramento, CA.) I’d walk into the spice room just to smell. The Indian folk in the mkt probably thought I was crazy. This will be on the menu for Spring Break in Bolinas. I’m site dropping since I figure you know these places. Love the tandoori and I’m am so there with you about bagels and dried fruit – blueberry bagels -NEVER!!! Hey, made your Meyer lemon sorbet from lemons supplied by Emily Lucchetti. You’ve been on Betsy’s show a couple of times – I’m claiming you for the next time. 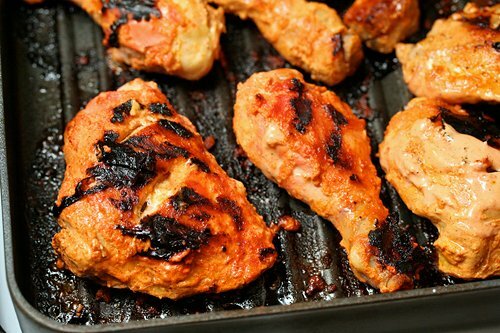 I love Tandoori Chicken; it’s excellent when grilled, but I’d love to have it from an authentic Tandoori oven. I can only imagine what a treat it would be; the way these flavors meld is simply amazing! Let’s just admit it, we American folks keep our spices way too long and are intimidated by the amount of spices that the Indian cuisine lovely embraces…we need to enjoy these pleasures much more often. I’ll bet by eating spices in large quanitities our arteries and other insides would benefit. You know a spice is bad when you open the container and the only thing left for use are dried up fly wings. YUCK, I didn’t really say that, did I? Margie, don’t feel too bad — my sister still takes a beating about the pot of chili (soup) she made 15 years ago — she poured in some of the chili powder from one of the ancient tins on my mom’s shelf — and we realized AFTER the chili was done that the little black things floating on the surface was NOT little pieces of chile pepper. Ewwwwww. I’m all for added protein, but not like that! As a long time reader of your blog, I’m glad to see you take this turn! 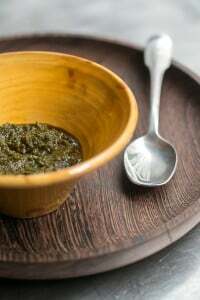 Your “diced pineapple with hot chile flakes, mint, lime juice, and toasted coconut” is more a “kosambari” and less a “chutney.” I think of chutneys as more jammy or else goopy salsa-ish concoctions and kosambaris as spiced/herby chopped salads. See below for another pineapple kosambari, dressed with a classic hot oil mustard seed tadka. It is entirely too sad that most of the rest of the world has not made friends with these kinds of Indian salads. This does look like something delish for the grill. Outdoor cooking is kind of the thing around this house. Our smoker is so large we have to make sure that there are no homeless people sleeping in there prior to cooking! By the way, where are the mammoul cookies for dessert? Not-deep-fried papadams – I brush them lightly both sides in oil and do them in the microwave , 2 or 3 at a time, side by side, at max watts – 30 to 45 seconds in my microwave, advise you experiment with yours to find the right time. Mandy, Anjali & Mariam: Thanks for the tip on the papadams. I love them and am dying to try them at home. But the deep-frying thing turned me off. (That’s my ‘recipe killer’, whenever I see those words, I don’t make that recipe.) I don’t have a microwave but will look for one of the perforated cookers next time I’m in the Indian market. Thanks! Khaoo: You’re right. I had hoped my ‘chutney’ would be more ‘jammy’, but the pineapples didn’t expel all that much liquid. So I added some kumquat poaching syrup to them, but didn’t take a photograph. I didn’t know quite what to call it, so thanks for the heads-up. Yours looks delicious and I’ll definitely try that next time. I teach Indian cooking and I often tell my students, one of the most important elements about Indian cooking is using fresh spices. They do have a shelf life, and unless you’re meticulous about dating them, and replacing them, I strongly recommend you freeze them if you’re not going to use them right away. David, sorry to hear of your soupy experiences with Indian cuisine! The variety of food in India though is vast – at least 30 languages are spoken, with several hundreds of dialects – so imagine the different meals in all the homes. I can almost smell your lovely tandoor chicken though.. the raita is a perfect accompaniment, and your artful desserts brought back a flood of memories, merci beaucoup! This recipe sounds fantastic – thanks! 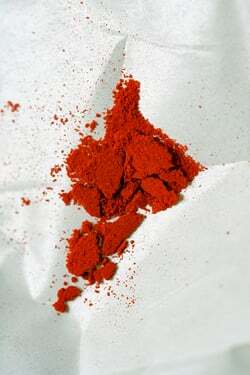 Regarding the red color of the tandoori chicken: an Indian friend of mine told me that the bright red Tandoori Chicken you see in the US is “Americanized”. He said that real tandoori chicken, in India, is not that red. David — wait a bit until the beginning of the mango season, then go back up to the area around Gare du Nord, and buy a box of Pakistani mangoes. Then go back every week for another box, and another, and another, until the end of the season. See you there! Re: papadum, no special equipment needed. I make these all the time. All you need is a gas flame and a pair of tongs. Hold the papadum in the tongs and drag it back and forth across the flame, turning it around until it is crisp all over–about 20 to 30 seconds. I’m a recent (British) reader of this wonderful blog of yours. I find it very funny and illuminating, especially when you discuss French culture, given that I lived there not long ago! janet: Thanks, I clarified that. Merci..
Matthew: Great tip! I see plenty of papadum in my future now! 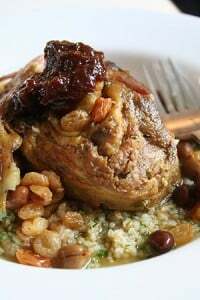 I tired this recipe with pork- I know I know so Un chicken, but it was what I had and I have to say it was delcious! as I did not have chili spice I used cajun spice- but again I took the spirit of the recipe to try and didn’t get too hung up on the my need to sustitute. Thanks for sharing! Hi David, so glad that you’ve ‘discovered’ Indian cuisine and your Tandoori Chicken looks fantastic. I’m looking forward to following along with you on your journey. I too have ‘rediscovered’ it by a trip to the Indian grocery shop. So many inticing possiblilities with all the intriguing grains, beans and spices! There’s also a book which has provided enormous inspiration: Mangoes and Curry Leaves by Jeffrey Alford and Naomi Duguid. The Baked Goan Fish with Green Chili Chutney is unbelievably good! I have been having such a ball experimenting with my loot from the East Village Indian Grocer around the corner from my apartment in New York. I love getting passed wonderful authentic recipes to try. Mainly because it saves me from the ever present temptation of spending $20 on take out and the imminent nan binge session that ensues thereafter. David, I have a electric stove top (Vitrio) here in Paris, hate it, but that’s another story. I tried an experiment after seeing this article and cooked papadums directly on the vitrio. It seems to work just fine, plus easier to flip. But definitely use an exhaust hood or open a window. Since I have a gas stove top in the US I tried doing the tong thing, but I kept cracking the papadums, it’s me, I’m a klutz. So, I prefer using the meshed pan when using a gas stove top, I seem to have better control. I’ve just found your blog and love it! Raita is a favorite in our house; even our 9 year old knows how to make it. I love the idea of the pineapple “chutney” (perhaps some diced champagne mangos would go nicely in it as well) and hope to make some this weekend for an event I am attending. About the raita, my mom never adds garlic, but she makes a great tomato raita with chopped red onions. On the red coloring: forget it. The real deal doesn’t have any. Tandoori chicken is simply marinated chicken grilled at very high heat in a clay tandoor oven — the marinade has a certain set of key ingredients, but the red color is sure as heck not one of them. There is no shortage of terrible food products (and practices) at many Indian restaurants and grocery stores. So simply because they serve this stuff or sell it, you don’t have to eat it. ;-) You are better equipped to give us analogous examples of what goes on in ho-hum American restaurants, but think of the horrible yellow colored emulsified oil and god knows what in those supermarket “cheese” slices. Or that nasty fake parmesan in a can, or cheez whiz. Lord knows why I’m thinking of all these fake cheese products, when what I really want is an example where they take a perfectly good thing and then insist on dyeing it some ghastly unreal color. Do not even get me started on the Indian restaurant practice of pouring cream into every other dish masking the bright taste of that lies beneath. Btw, if you find yourself in a particularly DIY mood, you might want to follow this guy’s lead and make your own tandoori oven. & if u like Tandoori chicken, u should try the Malai Tikka Kebab.. where the meat is marinated in cream & cheese & spices before they are grilled. Well, I like the red color, and while I have been to some pedestrian Indian restaurants, I have also been to some fabulous ones as well, and every one has had red tandoori chicken. Your recipe inspired me to try my hand at tandoori chicken. I ran down to the Indian grocery not far from here and bought some red food color, really intensely colored salt, but unfortunately they were out of saffron. I made a slurry of lime and salt and rubbed the slashed chicken with that before adding it to the yogurt-spice-food color mixture. for paprika, I used a mild Indian chili which still has quite a bit of heat. After letting it marinate over night in the fridge, we broiled it in the gas oven, 20 minutes on the first side and 15 after turning it over. It was awesome. I am not as fond of pan frying (the actual task of frying, not what it does to food), which is why I broiled it. I was amazed at how moist the meat was. Have you ever managed to get your oven fixed? lee: Glad you liked the recipe. Unfortunately the end of the oven handle saga meant that I had to get a new oven when the handle broke. Sometimes here, you just need to bite the bullet when you can’t get around the “system”! I am glad to hear you have a new oven. I read through your favorite posts and never saw a comment that said what you had finally done. David. I made this with the addition of cilantro, cooked on the bbq and it was incredibly moist and flavorful. Love your blog. Wish I had won that cookware! 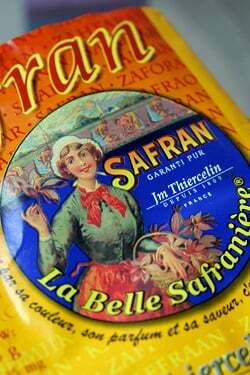 You say boil the saffron in water then add it to the bag’d chicken and fridge overnight? Am I missing the step that says cool the water off before adding to the raw chicken?? JR: You pour the 1 tablespoons of boiling water over the saffron, to infuse it and bring out the flavor. After 5 minutes of resting, the very small amount of water will be tepid. Oops, I guess that’s why no one else had my question! I tried your chicken tandoori recipe , and it turned out to be very authentic and delicious. I added the juice of two more lemons for the quantity of chicken mentioned in the recipe. Me and my family look forward to enjoying tandoori chicken more often in the future. Thanks for the same. Thank you for sharing this recipe! I made it the other day and the result was fantastic. I documented on my blog. wow… I must say your recipe is complicated and it doesn’t look like tandoori chicken at all! I am not saying its not tasty, all I am saying is that its not tandoori. Try this yea? Take 4 pieces of chicken legs (drumsticks and thighs) add about 250mil plain yoghurt, 2 tbsp garlic, salt and chilli powder to taste (I use 3 heaped teaspoons salt and 4 tbsp chilli on spring chicken), red food coloring (you can use any edible color, even the one you use on cupcakes!) and lemon juice. So mix everything and leave this to marinade for upto 6 hours in winter and 2 in summer. U needn’t refrigarate. Now, roast the cumin in a dry pan and crush using a pestle and pour on the marinated chicken. EITHER shallow fry the chicken pieces in butter then drain the butter and pour in the remaining marinade and cook a bit. Or Roast on a barbecue occasionally brushing with butter, Tandoori chicken needs to be dry and an oven doesn’t remove the moisture. And if you’re ever in Africa come try some of mine….